Doug Coors, whose relatives started Colorado-based Coors Brewing Company, will be part of a Thursday news conference that promoters dubbed as an announcement about a major sports venue. The wave pool will be roughly the size of nine football fields, featuring 11 surfing areas, and will cater to novices and world-class competitors, the site says. “Even in the most challenging drought conditions, the lagoon will be self-sustaining with rainwater,” the company added. Austin permits for a project dubbed “Blue Prairie” list Austin Park LLC as one of the company’s involved in the venture. Austin Park LLC is doing business in Texas under the name NLand Surf Park LLC, according to registration documents at the Texas Secretary of State’s office. The park is likely to be located along the State Highway 71. Austin Park LLC owns a 160-acre piece of property on SH 71 at the intersection of Navarro Creek Road just east of Austin-Bergstrom International Airport, according to the Travis County Central Appraisal District. 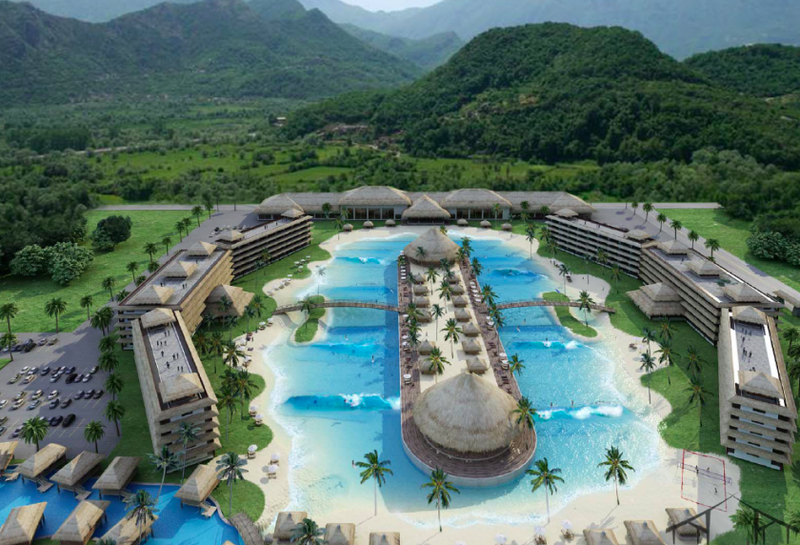 Developers said the park is being created with the help of Spanish engineering firm Wavegarden. The news release said the project is a private investment using no taxpayer dollars.